A busy evening session. It's good to see how this venue is developing. Old Street (formerly Queen's Head) - Yum Yum Juice 5.50 Direct from the tank. Murky gold. A citrusy Pale Ale with Rakau, Waimea and Huell Melon hops in a really nice blend. Old Street (formerly Queen's Head) - I Need More Dates 7.00 Direct from the tank. Black and a little bit flat. Dates, honey and lactose. Deviant & Dandy - No Figgity Stout 8.00 A strong Stout with added figs. 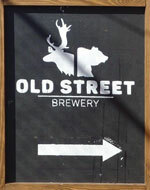 There are two Old Street Brewery beers available direct from the tanks tonight, alongside several guest kegs. Old Street (formerly Queen's Head) - Desert Sunrise 6.70 A pale beer, well-hopped with Citra and Mosaic. It also has a pleasant fruitiness which I discover comes from cactus. Early evening on a relaxed late-summer Sunday. Old Street (formerly Queen's Head) - I'm So Brutiful 6.70 Cloudy gold, full-bodied and dry. Old Street (formerly Queen's Head) - Peely Wally 5.50 In the currently ubiquitous, cloudy gold, soft and fruity style. Quite busy in the mid-evening, including a couple of friends to natter with. I have not quite worked out the ‘real ale’ status of the beers here. The beers brewed on site are served direct from the tanks in a similar way to those at Zero Degrees or Howling Hops. Not sure if any gas is added. Anyway, they are very drinkable. Old Street (formerly Queen's Head) - Schlub Juice 6.00 A very bitter, murky brew. Old Street (formerly Queen's Head) - My Dad is a Carrot 6.50 A West Coast IPA style. No carrots were harmed in its making apparently. Old Street (formerly Queen's Head) - Pleasant Juice 7.40 The murkiest NEIPA I have encountered yet. A small gathering of people here in the mid-evening. All home brewed beer is apparently ‘sold out’. Good Chemistry - Natural Selection 4.00 From some kind of keg arrangement and overly fizzy. Pale gold and dry. Although the Taproom had a soft launch a couple of weeks ago, tonight seems to be the first night with an Old Street Brewery beer actually for sale. I thought the advertised prices were quite a bargain, until I discovered that all beer is sold by the two-thirds of a pint measure. Old Street (formerly Queen's Head) - No Room to Fail 5.00 Poured straight from the conditioning tank. A fierce Pale Ale – a bit raw I thought. 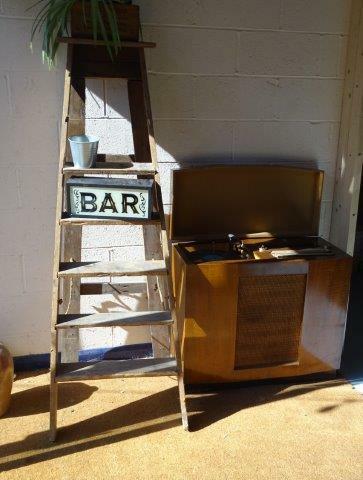 The pub is found in Bethnal Green, Greater London, E2 0EJ. 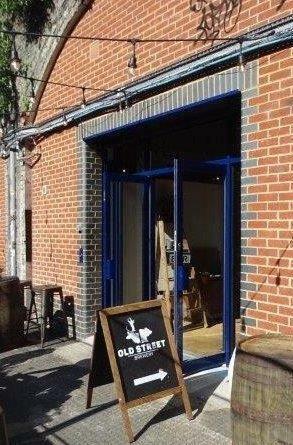 Old Street Brewery began life in 2016 and for a while brewed on a very small kit in the cellar of the Queen’s Head pub near King's Cross railway station. In early 2018 the brewery was relaunched in a railway arch very close to Bethnal Green tube station. A taproom area has been developed at the brewery – at the time of writing a pattern of opening hours is yet to be established. No cask conditioned beer is sold at the Taproom. We have visited this pub 6 times, seen 11 different beers and tried them all.